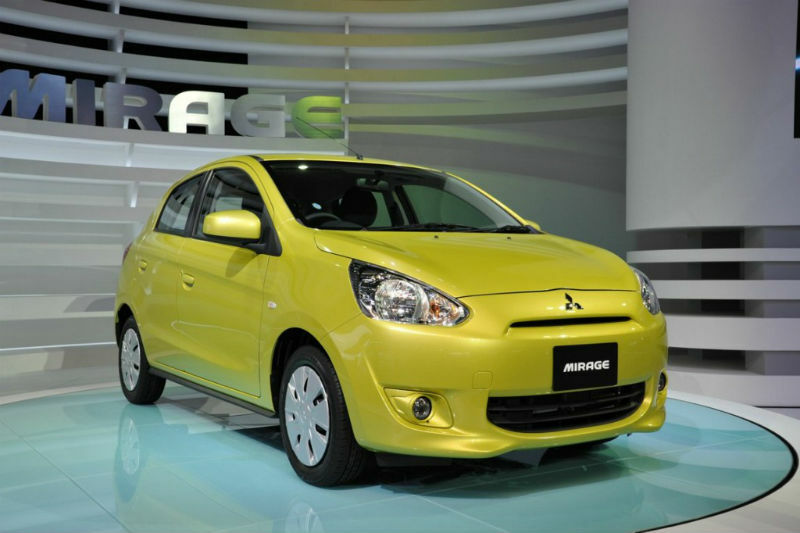 Bangkok International Auto Show 2014: Mitsubishi today showcased the Attrage and Mirage, two models, which are likely to be introduced in 2016 for Indian market. It’s all that you’ve ever dreamed of, and more. Inspired as the first ever eco-sedan in the market, the Mitsubishi Attrage has the perfect balance of premium features, excellent fuel efficiency and sleek styling, all wrapped up in one affordable package. Get ready to discover just how perfect the Attrage is for you. The 1.2-litre DOHC powerplant of Attrage is good for churning out 80PS of power @ 6000 rpm with 106 newton meters of torque @ 4000 rpm. The engine will be teamed up with either a CVT (Continuously Variable Transmission) or a five-speed manual gearbox. The engine offers optimum efficiency and performance in a compact aluminum power plant. Using MIVEC (Mitsubishi Innovative Valve timing Electronic Control) technology, it offers precise torque over high, mid and low rev ranges, resulting in efficient output at all times. The INVECS-III (Intelligent & Innovative Vehicle Electronics Control System III) CVT wide ratio gearbox maintains optimal RPM (Revolutions Per Minute) for optimum fuel economy and performance. You will enjoy smooth deceleration and acceleration, as well as efficiently selected gear ratios in all driving situations. In an event of a crash, its dual SRS airbags offer protection for both driver and front passenger. Used in tandem with the 3-point ELR seatbelts, they provide an excellent degree of safety. 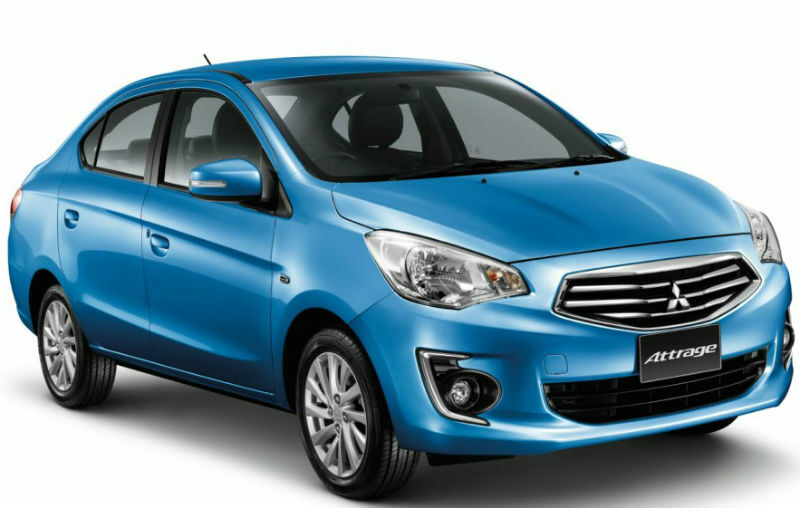 Mirage is an easy, fun, small car to drive with eager performance, class leading maneuverability and safety and seating for five passengers. It’s no compromise of standard features; latest technology and safety give it unbelievable value and affordability. The Mitsubishi Mirage challenges small car perceptions with ample seating for five passengers and seating versatility, which will enable you to carry larger items by simply folding down the rear seats completely. The Mirage LS gets a keyless operation system, which enables allows you to start driving without ever taking your key from your pocket. When a call comes through, the Bluetooth 2.0 system automatically cuts into the radio and when a paired Bluetooth compatible phone is within the car, it’s automatically connected. Whether driving around town or on the expressway, the five-speed manual transmission gives Mirage nimble and responsive performance. CVT offers infinitely variable gear ratios that allow the engine to always operate at the optimum RPM, irrespective of the vehicle’s speed. This maximizes economy and power helping to ensure a stable yet smooth ride with flawless gear changes. For those with an eye for exceptional economy, the lightweight 1.2 liter MIVEC engine delivers an exceptional 4.6 litres per 100km without a loss in performance. This new engine produces 57kW of power and 100Nm of torque, which together with the reduction in weight, gives the new Mirage effortless acceleration from standstill and when overtaking.